On Saturday, October 10, 9:00 am, Caldwell County will be conducting a disaster exercise as part of its on-going training for emergency responders. The scenario will be a serious school bus accident. School students are excluded from participating, so adult CERT volunteers are needed to play victims of the accident. This will be a realistic exercise with victims made up using trauma moulage (make-up and prosthetics) to simulate serious injuries. 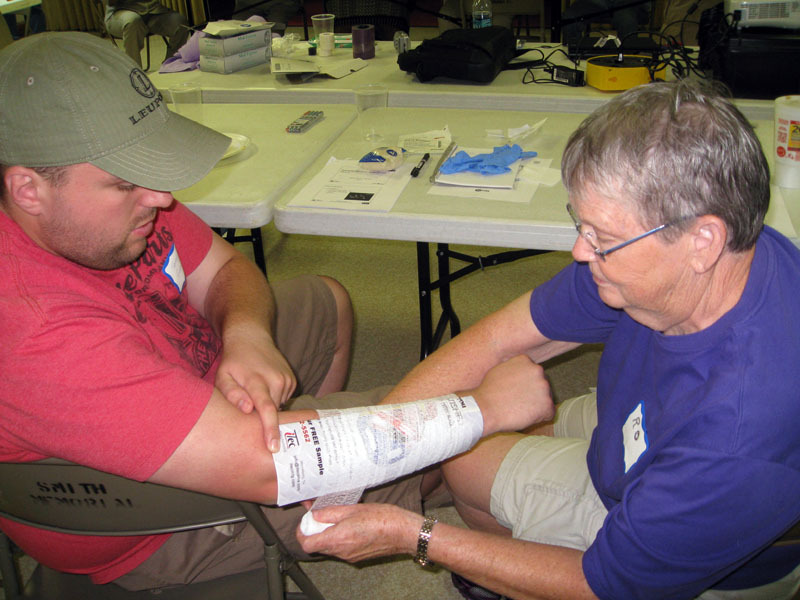 Volunteer victims should come dressed in old (disposable) clothes that may be painted or cut off. Discreet under garments such as running shorts and tops should be worn underneath. This is serious training that is part of Caldwell County’s effort to insure emergency responders and our community are prepared to handle large-scale disasters. This is an opportunity to learn more about emergency services and contribute to your community. Contact me at caldwellcountycert@gmail.com or Kenneth Teague at kteague@caldwellcountync.org to volunteer. Caldwell County CERT now has a mobile, 12′ x 16′ shelter available for use during emergencies. It is quick to deploy (15 minutes) and includes heat and air conditioning. 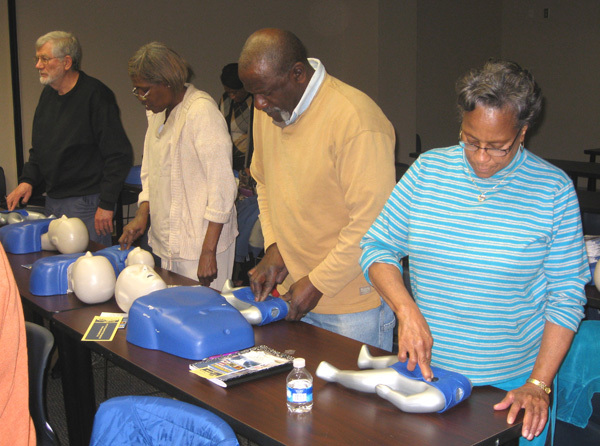 On May 19, at 6:00 p.m. Kenneth Teague, Emergency Management Coordinator, will demonstrate how to deploy the shelter to our CERT volunteers. 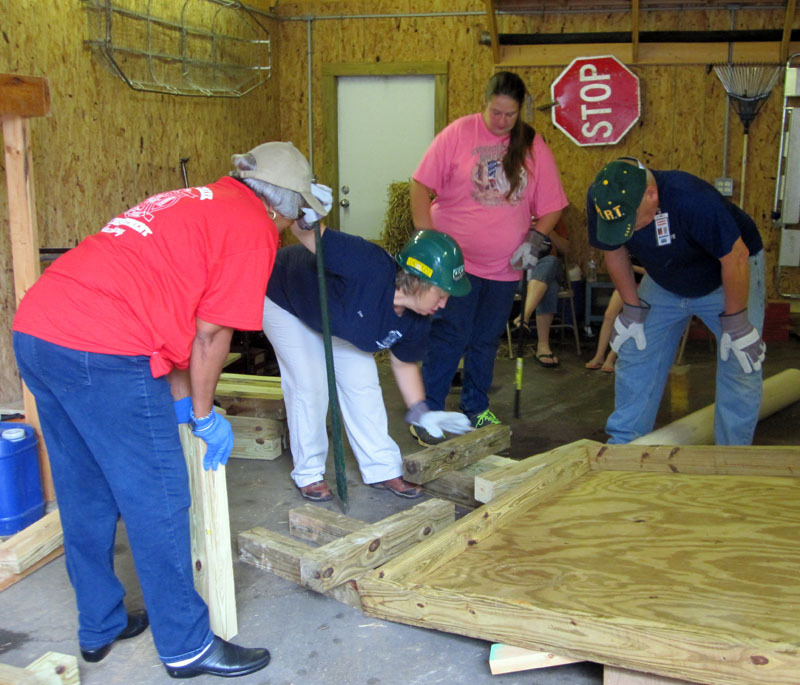 We will have the opportunity to get hands-on practice in putting up the shelter in the event we are needed during a disaster. All Caldwell County CERT volunteers are encouraged to attend. To RSVP, send an email to Elizabeth Thomas, ethomas111@charter.net, by Monday, May 18.